Homepage » Bags & Purses » [Free Pattern] This Bag Pattern Loaded With Bohemian Charm Can Be Done In Just A Few Hours. If you’re looking for youthful and aesthetic bag to wear this summer this pattern speaks for itself. The brilliant design with very clear instructions ad a step-by-step photo tutorial, makes this interesting crochet bag with tons of texture really quick and fun to make. 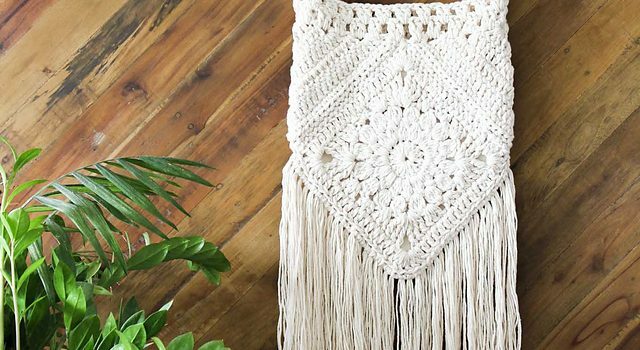 This crochet work can be done in just a few hours. 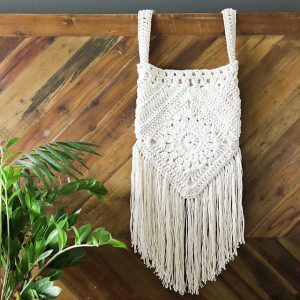 The fringes add summer touch and bohemian charm and make the Urban Gypsy Boho Bag by Jess Coppom perfect for your next music festival or farmer’s market.